Ready Movers is the reliable and full service moving company to call when you need to hire expert movers to make your move safe and easy. 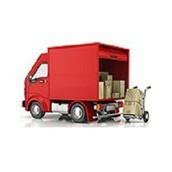 Are you looking for expert movers to transfer your commercial or residential items safely from one location to another? If so, hire Ready Movers. Our professional team of removalists helps you achieve the perfect move!